With new trends developing at a rapid pace, driven by housing’s changing landscape and the prevalence of technology, it’s essential to know what lies on the horizon. Two of the most important and fastest-growing markets today are women entrepreneurs and single women. According to Ernst & Young (EY), women are starting businesses at 1.5 times the rate of men in the U.S. While the number of women entrepreneurs is growing at a rapid pace, the National Women’s Business Council (NWBC) reports that 89.5 percent of women-owned businesses employ no one other than the owner, and data from the SBA Office of Advocacy shows that 60.1 percent of all firms without paid employees are home-based. These growing women entrepreneurs want a place to call their own for their personal and professional lives, a sanctuary for themselves and their families, as well as a stable location from which to grow their business. Homeownership for these women entrepreneurs is precious; they’re capable risk-takers making an impact in the home-buying market just like in the business world. Single women homebuyers are on the rise. As the National Association of REALTORS® (NAR) reports, single women comprise 17 percent of homebuyers in the U.S., compared with 7 percent of single men. Moreover, according to the Census Bureau, of the 116 million currently occupied housing units, single women comprise 13 percent; in contrast, single men make up only 4.8 percent. With a (slowly) decreasing wage gap and increased presence in high-paying jobs—between 1970 and 2010, women civil engineers increased by 977 percent, pharmacists by 434 percent, physicians and surgeons by 334 percent and lawyers and judges by 681 percent—women’s buying power is growing substantially. Furthermore, the Department of Labor (DOL) reports that the unemployment rate for women is 4.8 percent, a significant decrease from 9 percent in November 2010. In addition, Census Bureau data shows that on average, women are entering marriage at age 27, compared to age 21.5 in 1940. This independence coupled with increasing wages and labor-force participation is helping women transform their homeownership dreams into reality. A home is a woman’s sanctuary, a place to call her own, an invaluable asset that cements one’s professional progress and economic foundation. The desire to own a home is an enormous driving force in women; they’re doing what it takes and sacrificing in order to become homeowners. Where are single women buying? A recent survey from Owners.com found that the top 10 most popular metropolitan statistical areas (MSAs) for single women to buy homes share affordability. Specifically, these markets are 70 percent more affordable than the next 10 markets. There may be a buzzing market of women homebuyers in your city, so make sure you’re prepared to serve women clients. 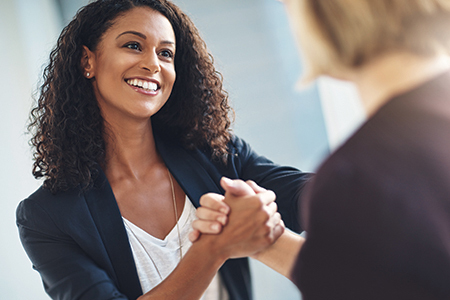 Leveraging your female agents, or your presence as a women-owned brokerage, can maximize your appeal to women buyers looking to work on their home search with women. The business is here and growing. Are you ready?